Happy Monday everyone and for me…HAPPY FIRST DAY of the SEMESTER! Yep…today is the first day of classes for me. It’s going to be a busy semsester as I have 200 students! EEK!!! Anyway…Mary Jo has a great sketch for us over at Technostamper Monday Lunchtime Sketch Challenge. It’s another nice and easy one and can be interpreted different way. Color light colored Candy Dots using Gold Dazzle Marker, let dry and add to each side of the greeting. Isn’t that a great sketch? I LOVE it! Don’t forget to check out the other members of the team and remember go to the Technostamper blog to play along! Oh…I’m just SOOO excited! 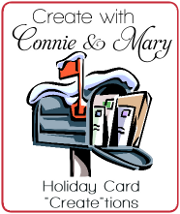 We are getting ready for another Create with Connie and Mary Collection! This time we are doing an ALL CARD collection…how cool is that??? Early Bird has started and you can get 3 week of all cards (1 week Halloween/Fall and 2 weeks Christmas) for only $19.95! I know I can hardly wait! AWESOME!!! So head over to Create with Connie and Mary to learn more and subscribe today! This entry was posted in Technostamper Challenge and tagged And Many More. Bookmark the permalink. Hello, I really like the cards you post. I can’t for the life of me figure out where the Fun Fall framelit are. I thought we should have them because of the beautiful fall set in the holiday catalog. And you show them to us. I must blind. Do you mind helping me find them? I found the f ramelits. I guess I passed on them but may have to reconsider. This is a wonderful fall card. I am so not ready to give on Summer weather yet but I so love fall colors. These are wonderful. Hope you semester is off to a great start-not sure how you do it all! 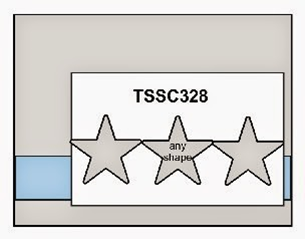 Thanks so much for being on the TSSC team!